Our Officer breeches are made in hard-wearing taupe wool Bedford cord. They have button fly, belt loops, two flapped back pockets, fabric leg facings. 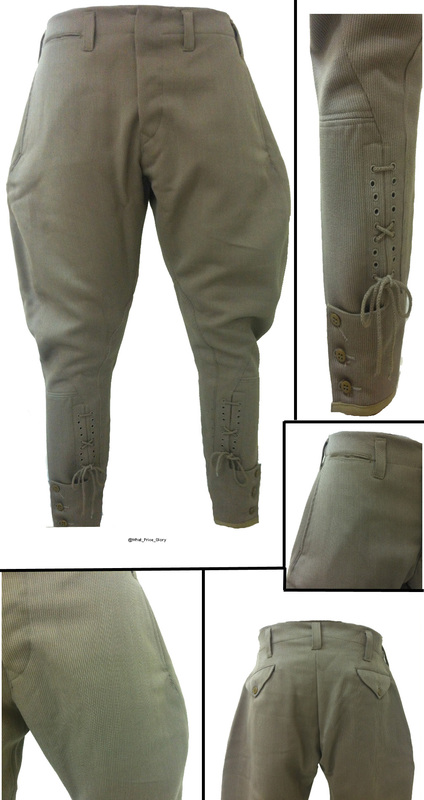 This style of breeches was also worn by many other Allied officers, and was quickly adopted by many U.S. Army officers of the AEF. For detail pictures, click here.